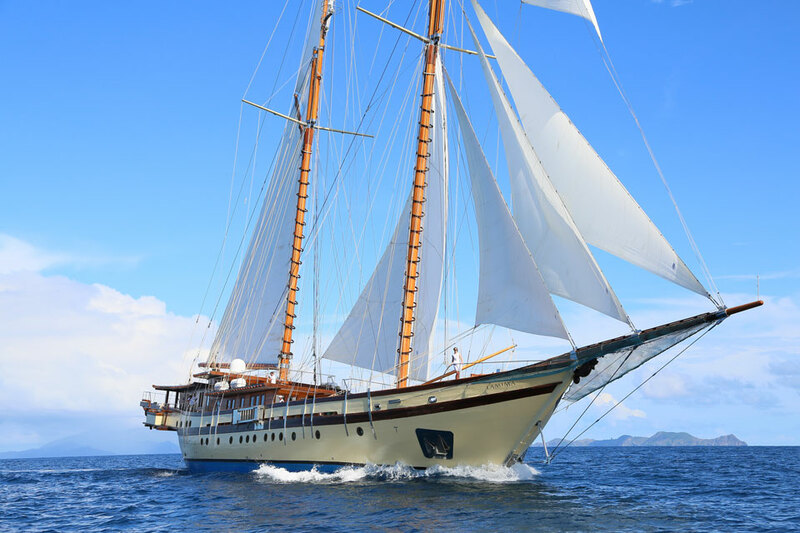 The 65m Lamima is available for extended sailing charters in Thailand and Indonesia. 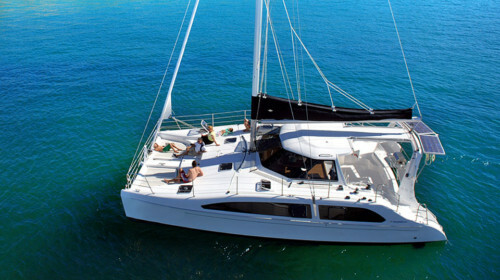 Sailing Charter Yacht Phuket with Boat in the Bay. 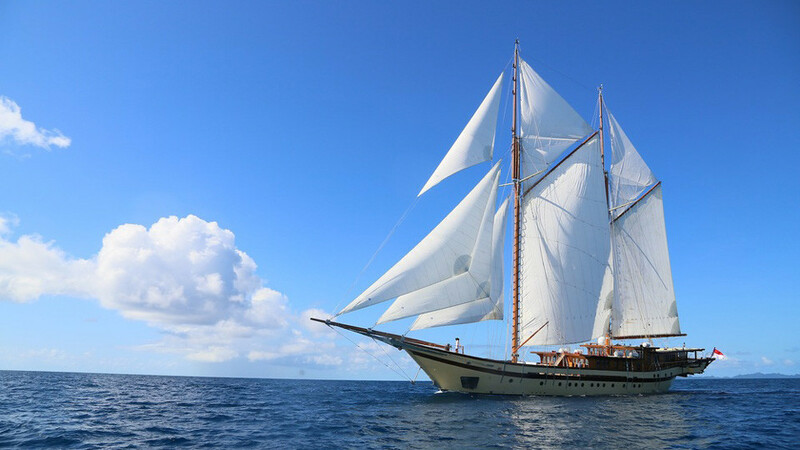 Lamima is a 65m gaff-rigged sailing yacht available for charter in Phuket and Southeast Asia. 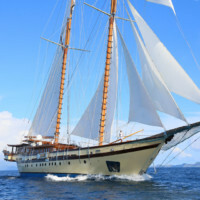 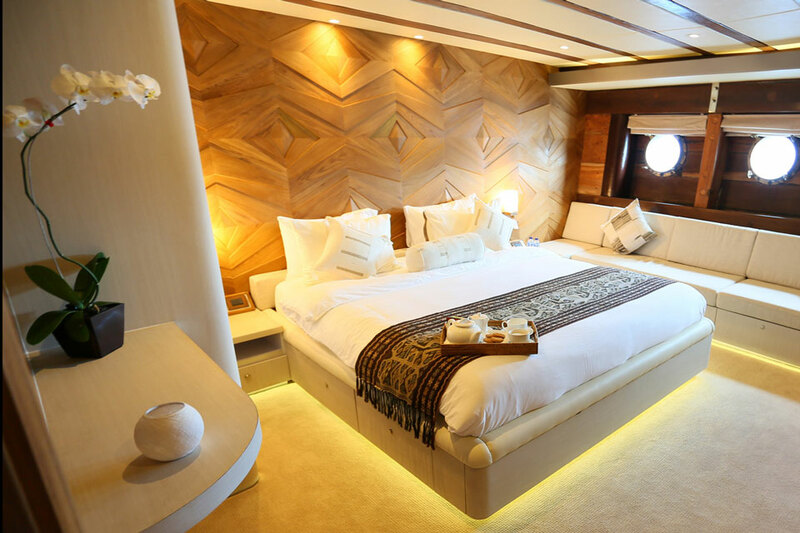 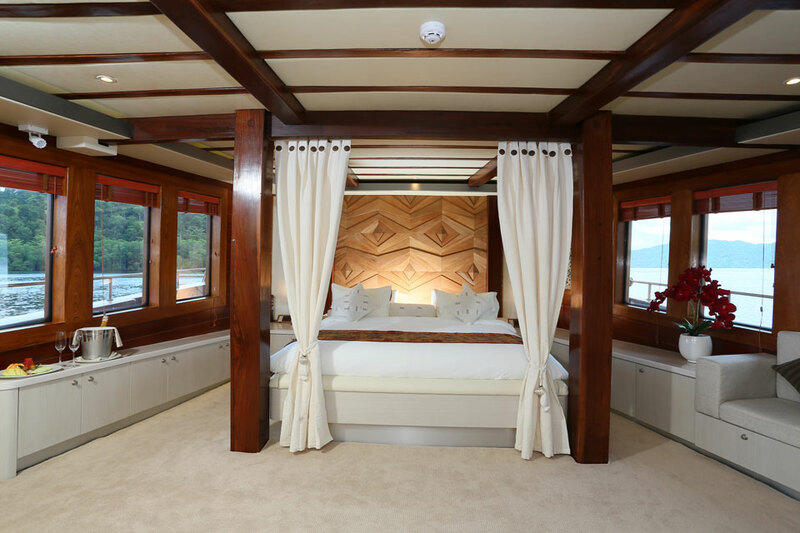 Step on board Lamima, the world’s largest wooden sailing yacht, and experience the unique lifestyle of this authentic wooden Phinisi, which offers the most comfortable sailing, luxury accommodation, fantastic cuisine, and lots of fun both on board and in the water. 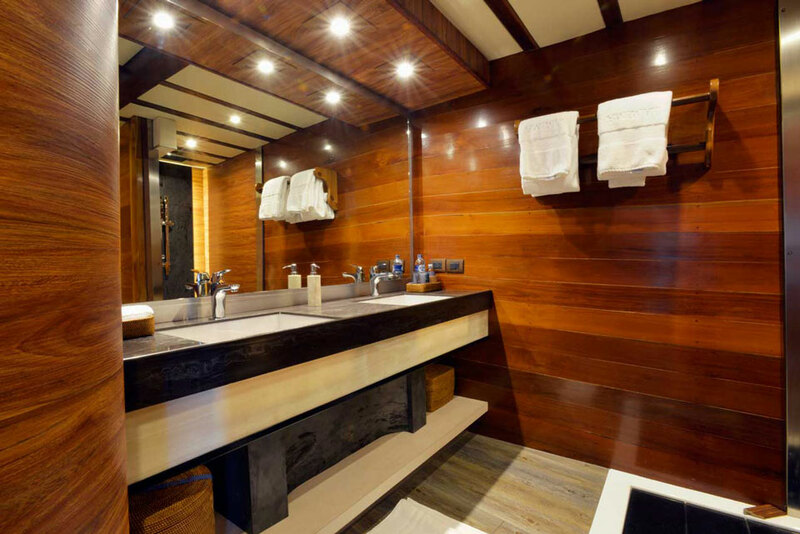 Esteemed yacht designer Marcelo Penna of Barcelona ensured her intrinsic strength and stability: your safety on board is guaranteed. 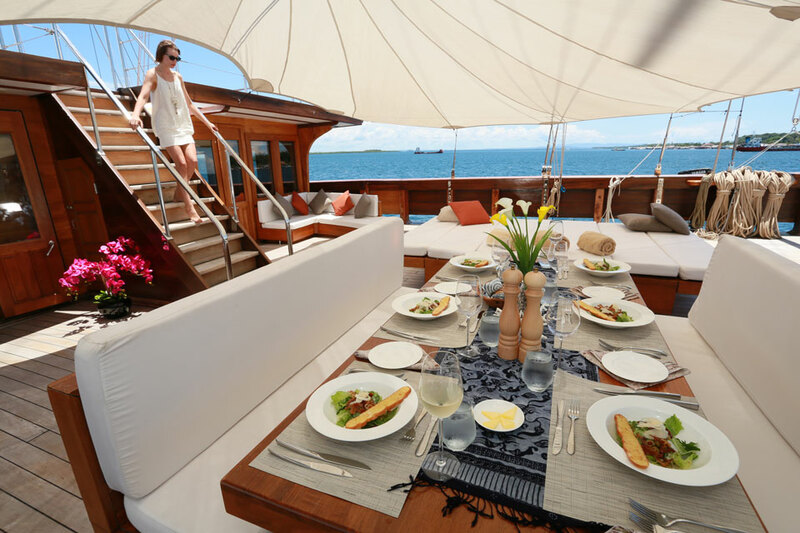 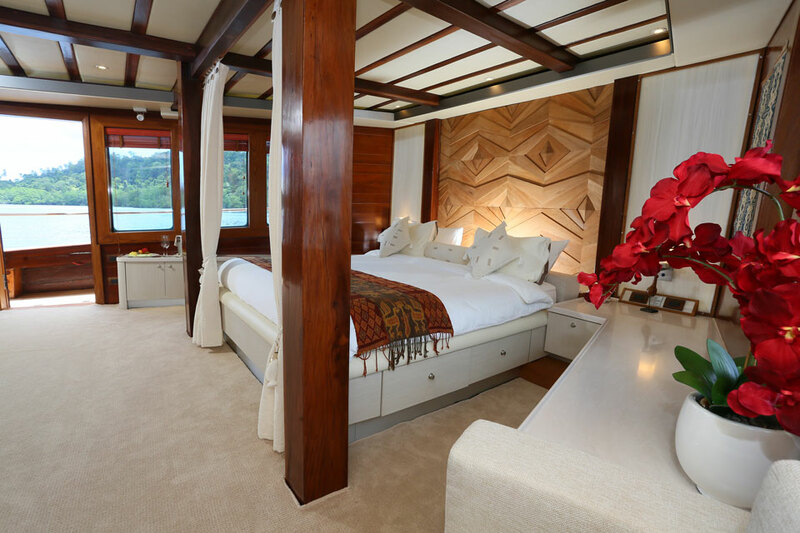 Indonesian sailing yacht Lamima accommodates up to 14 guests in 7 cabins of which 1 double master ‘family stateroom’, and 6 spacious guest rooms, all with luxurious en-suite bathrooms. 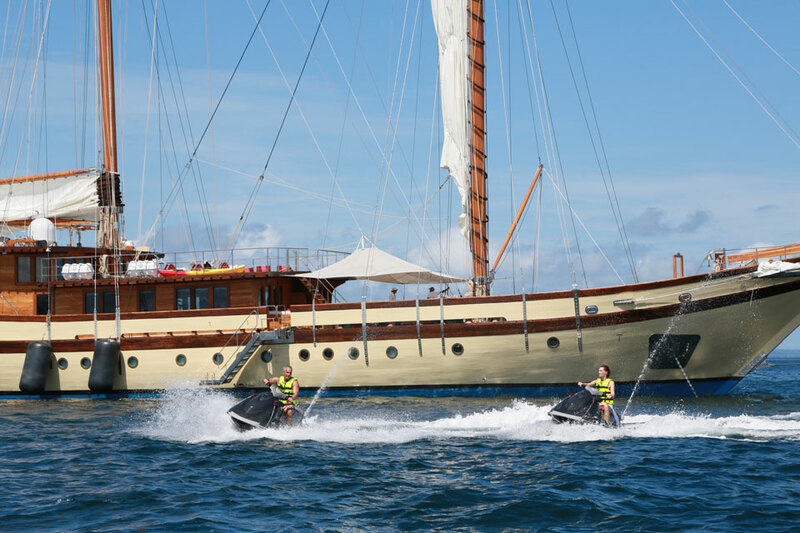 Water toys available include snorkelling equipment, water-ski, wakeboard, stand-up-paddleboard, jet ski, and kayaks. 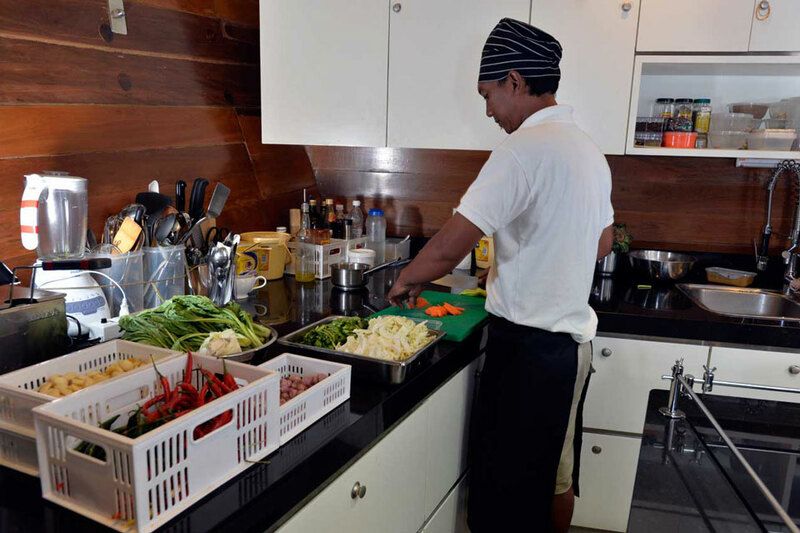 Lamima is a certified PADI dive centre, with 2 PADI dive instructors also offering PADI and Nitrox certification. 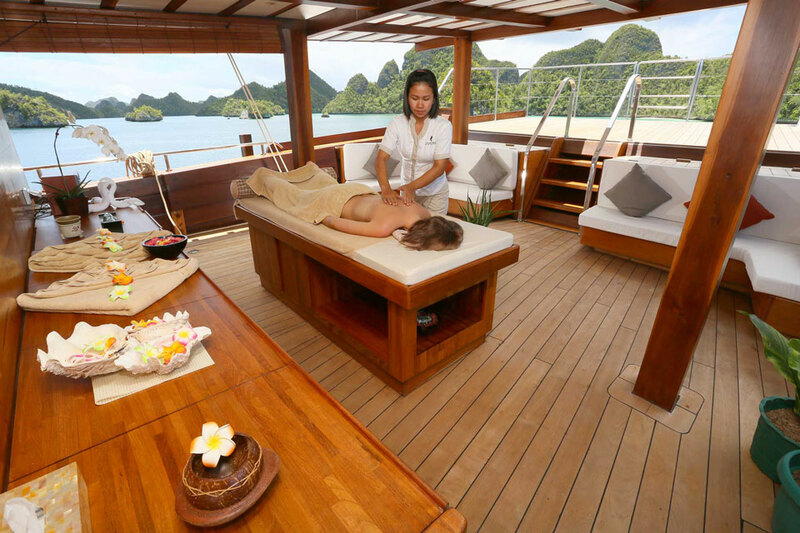 And SPA therapist is there to help you relax after the activities. 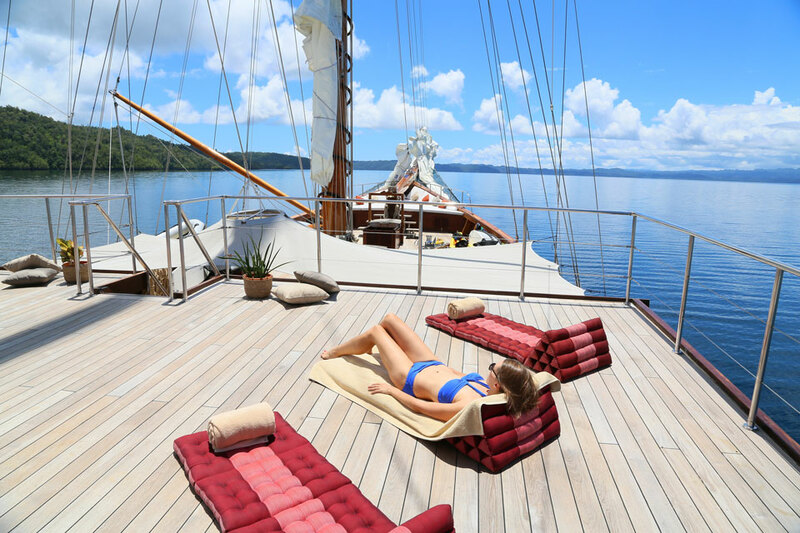 Feel the smooth teak deck of Lamima, enjoy the view and chill in the al fresco dining and lounging areas with plenty of comfortable seating for leisure and meal times. 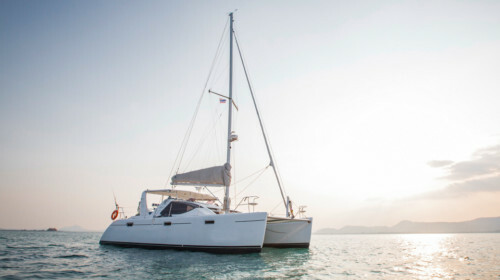 Contact Boat in the Bay to inquire about this Sailing Charter Yacht in Phuket and Thailand is the winter season with an all-inclusive week rate of 106,000 USD; and Indonesian islands of Bali and Raja Ampat in the summer with an all-inclusive week rate of 126,000 USD. 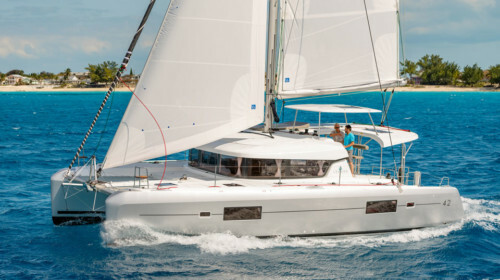 Advance Provisioning Allowance (APA) to cover possible extra expenditures in the amount of 20% of the total charter fee is collected 30 days before departure.